Do you think your child may be introverted? Or are you not sure how to tell? Around one in three people are introverted so if you have two or three children, chances are one of them is introverted. While Western – and particularly American – society tends to favor extroverts, being an introvert isn’t something we can – or should – cure. It’s a personality trait, not a flaw. Join me as we walk through a topic near and dear to my heart, and learn the difference between introversion and shyness, and how to support your introverted child – no matter whether you yourself are introverted or extroverted. Cain, S. (2013). Quiet: The power of introverts in a world that can’t stop talking. New York: Broadway. Keogh, B.K. (1986). Temperament and schooling: Meaning of “Goodness of Fit”? In J.V. Lerner and R.M. Lerner (Eds). Temperament and social interaction in infancy and children. San Francisco, Jossey-Bass. Laney, M.O. (2002). The introvert advantage: How to thrive in an extrovert world. New York: Workman. Markway, B.G., & Markway, G.P. (2005). Nurturing the shy child: Practical help for raising confident ans socially skilled kids and teens. New York: St. Martin’s. McCrae, R.R., & Terracciano, A. (2006). National character and personality. Current Directions in Psychological Science 15(4), 156-161. Swallow, W.K. (2000). The shy child: Helping children triumph over shyness. New York: Warner. Hello and welcome to the Your Parenting Mojo podcast. Before we get started today I’d like to take a few minutes to chat with you about the podcast. Firstly, I’d like to thank you so much for listening to the show. I’ve been really honored over the last few weeks since I started the show to hear from so many of you about how much the show is helping you in your parenting. Because at the end of the day, I’m getting a masters degree in Psychology focusing on child development to be a better parent myself, and to help you be better parents as well. There’s just too much good information out there about how this whole parenting thing works for us to kind of bumble along and not know any better. And I put myself in the same boat as you here; I’m literally learning this stuff with you as I go. I don’t always handle things in the best way but when I learn better I do better, and I forgive myself for having done things “the old way.” I’m growing and becoming a better parent because of what I’m learning with you, and I’m honored that those of you who have left me reviews on iTunes and have written to me and told me how much the show is helping you are finding it useful too. So I have a four (yes, four!) specific favors to ask of you. Firstly, if you enjoy this episode, and especially if you’ve enjoyed several episodes, please subscribe to the show so you don’t miss an episode. Because I’m learning in the same way that you are we often build one episode on top of another. I regularly refer back to the episode on scaffolding, for example, and if you’ve already listened to that one then you’ll be able to follow right along as I describe how to scaffold behavior in a certain situation in the episode related to tantrums. You can subscribe on iTunes or if you go to YourParentingMojo.com you get a little freebie for signing up – a list of seven relationship-based strategies that I use to support my daughter’s development – and also make parenting just a little bit easier on me. Secondly, while you’re over on iTunes, I’d love it if you would leave a rating and write a review of the show. It doesn’t have to be super long; just decide how many stars you think it’s worth (five is always a good numberJ) and jot down a couple of lines about what you think about the show. Shows that have more ratings and reviews appear higher in the iTunes listings, which will encourage more people to listen, which makes me happy. Thirdly, if you know of other parents who could benefit from learning what we’re learning, please let them know about the show. Send them a link in an email or put it up on your Facebook or twitter feed (if you’re on twitter you can find me at A kid is for life). And finally, I really do love hearing from listeners, especially if you have an idea for a topic for the show. If you do, then please drop me a line at jen@yourparentingmojo.com and if there’s enough scientific research available on the topic then I’ll do an episode just for you. Also drop me a line if you have any other feedback for me or would just like to chat. Alright, on to today’s topic, which is called “how to support your introverted or shy toddler.” Unlike the episode I did recently on tantrums, which was mainly for you guys since we haven’t struggled with them too much, this episode is very personal to me. I have a triple whammy of personality characteristics that are socially undesirable (in the U.S. at least) – I’m an introvert, I’m shy, and I’m also a highly sensitive person (and I never even knew the last one was a “thing” until a few weeks ago). Since my daughter is only two and is in the stage where children tend to play alongside each other rather than *with* each other it can be a bit difficult to tell which personality traits are really hers and which are just a function of her current stage of development. But I’m starting to see some signs of introversion and shyness, so I wanted to get a handle on the research not so much so I can diagnose her, but more so I know what to watch for and how I can support her, because American culture is very much geared toward the success of extroverts. Somewhere between a third and half of the population in this country may be introverted so if you have two or three children then chances are one of them is introverted. Listen on to hear more about how introversion and shyness are not the same thing, and what the research says about how we can support our introverted and shy children. I got the idea for this episode after I read the book “Quiet” by Susan Cain. I’ve known I’m an introvert for a long time – I took classes in Psychology after finishing high school in England and we took Eysenck’s personality inventory – there’s a link to a free online version you can take yourself in the references for this episode – and I was basically off-the-charts introverted. So I’d heard of the book “Quiet” when it was published in 2012 but didn’t pay it much attention because I figured I didn’t need to be diagnosed – I already knew I was introverted. But someone recommended it to me as an example of a book that makes scientific research very accessible to a non-scientific audience, so I read it from that perspective – and I ended up learning a lot about myself in the process. The first point that I want to make is a very important one, and that is that introversion and shyness are not the same thing. Because it is so important and kind of non-intuitive, I’m going to say it again – introversion and shyness are not the same thing. The basic meaning of an introvert is that it’s a person who gets their energy from being in environments that provide low levels of stimulation, which often means being alone rather than being with other people, whereas extroverts find being in environments with high levels of stimulation, like when there are a lot of other people around, very energizing. Introverts might have good social skills and can participate in parties and events but after a while they wish they were at home tucked up on the sofa with a cup of tea and a good book. Susan Cain lists characteristics of introverts in the book. Some of these are that they prefer to devote their social energies to close friends, colleagues, and family. They listen more than they talk, think before they speak, and often feel as if they express themselves better in writing than in conversation. They tend to dislike conflict. Many have a horror of small talk but enjoy deep discussions. The part of this that caught my attention was that I hadn’t realized my introversion affected parts of how I deal with the world that aren’t directly related to going to parties. While I often have five or six books on the go at once (virtually all of them child development books these days! ), I do prefer to dig deeply into one. And I work in consulting, where it’s common for someone to call a meeting and show you some powerpoint slides and get you to react to it immediately, whereas I would really prefer them to send the deck in advance so I can take notes and have some time to process before I give my thoughts. So what’s the difference between introversion and shyness? The book “Quiet” says that while introversion is a preference for environments that aren’t overstimulating, shyness is a fear of social disapproval or humiliation. Shyness is inherently painful, while introversion is not. A lot of people get them confused because they overlap to some extent; I’d always thought that my shyness is part of my introversion. But it’s possible to be a shy extrovert (like Barbara Streisand who has a massive stage presence and apparently awful stage fright), or a non-shy introvert (like Bill Gates, who prefers his own company but isn’t afraid of the disapproval or humiliation of others that is the hallmark of shyness). And a key point is that while shyness and introversion are very different to the person experiencing them, to the outside world they look much the same. A shy person may be afraid to talk to other people at a party while an introvert may just be overstimulated – but the other people at the party can’t tell which it is, and all they see is someone who isn’t interested in talking, and thus must not be very interesting themselves either. Or maybe they’re just stuck up. Or both. What makes shyness “painful” and problematic is that it can get in the way of achieving things that we want to do. I might wish I could go to a networking event to advance my career, but maybe I’m too afraid of what people there would think about me. In that case, my shyness is getting in the way of something I want to achieve, especially if I’m looking for a new job. The famous psychologist Jerome Kagan moves the research one step further by doing some tests on 500 white infants (although he doesn’t say what religion they were) at age 4 months, 2 years, 4 years, 7 years, and 11 years of age, with the sample size dropping to 237 children by the time they were 11 years old. The central thesis of the study was that in the test at four months, children who kicked their arms and legs around or cried when they were presented with unusual things to look at, hear, and smell did this because they had inherited a trait that made a certain part of their brains very excitable. About 20% of the children did pump their arms and legs and cried, and these children were called “high-reactive.” 40% of the children showed the opposite pattern- minimal arm and leg movements and no crying – these were called “low-reactive.” 25% didn’t move around but did cry a lot and were called “distressed.” 10% moved around a lot but didn’t cry; these children were called “aroused.” And the remaining 5% of children were difficult to classify. The theory goes that children whose brains quickly become highly stimulated (which is indicated when they move around and cry) will seek out situations where they don’t get too much stimulation – in other words, they will become introverts. And the children whose brains need more stimulation before they get to an optimal level of arousal become extroverts, because they need more stimulation, both social and non-social, to get to that optimal level. Now I should note that Jerome Kagan is interested in the biological basis of temperament, and even he acknowledges that your genetic predisposition to prefer or avoid stimuli is not your destiny. About 33% of the high and low-reactive children displayed the pattern of behavior they were “supposed to” as predicted by their infant temperament when they were interviewed at age 11, while 16% behaved in ways that were inconsistent with expectations – a ratio of 2-1, but much less than 100%. The researchers noticed that the infants who had been high-reactive were mostly serious and didn’t smile at every one of the assessments from 4 months to 11 years. More low reactives smiled and laughed frequently at every age. Many low-reactives, but few high-reactives, smiled and laughed within the first minute of entering the lab at 11 years of age, and smiling at 11 years was predicted by smiling at two years. So if not all of the high-reactive children become introverts, what’s going on? It’s called the moderating effect of the environment, and a lot of that is the moderating effect of parents. So how do these parents support introverted and shy children? Regarding introversion, it’s really a matter of setting up your child’s life so he gets the amount of stimulation – both social and otherwise – that he needs. There’s evidence that many introverts are also highly sensitive people – people who notice and perceive things more strongly than others do. There are quizzes you can do to test this in yourself and your child as well – there’s a link to one in the references. I had no idea I was a highly sensitive person until just a few weeks ago when my husband handed me one of those checklist articles from Buzzfeed or somewhere similar that described the characteristics. I usually hate those things so I tried to make him take his phone back but he insisted I read it, and I was shocked to find that it basically described me. I cut the tags out of my clothes because I can’t stand them itching me. I always want him to turn the TV down. I regularly notice continuity errors in films. I notice manners. I’m sensitive to criticism. Now not all introverts are also highly sensitive, but when we talk about supporting an introvert we should also consider the possibility that she experiences things more acutely than you might as a parent, and thus if you think you’ve ratcheted down the stimulation enough then consider the possibility that it’s still too much for her. I think my two year-old may be an introvert because a lot of the time she seems to prefer staying home to going out or doing other activities. Sometimes when we have music on she asks me to turn it down because she thinks it’s too loud, even though I don’t think it’s that loud (and I’m highly sensitive!). So when I put music on I make sure not to put it on too loud. And we don’t keep a busy schedule here – she does go to daycare while I’m at work, but on the weekends we do a lot of relaxing around the house. We don’t rush from one class to the next; a busy day for us would be to go to another child’s birthday party *and* go grocery shopping on the same day. I get my need for alone time in the weeks I work from home, while my husband gets his need for socialization by going to the office most days. I do wonder whether my daughter is getting her need for alone time met during her time at daycare; the school does have a quiet nook where a child could pull curtains around himself and be alone for a bit but I’m guessing that the structure of the school day means that most of the time the children are engaged in some activity. It’s something I plan to discuss with her teachers. I have to say that while the majority of the book “Quiet” was exhaustively referenced, the chapter on how to support an introverted child was not. The references page for that chapter are based on interviews with teachers, school administrators, child psychologists, and a list of seven books, three of which have the word “shy” in the title which I thought was pretty surprising given that the author spends a good chunk of the book telling us how introversion and shyness are not the same thing. I was disappointed to find that two of those books specifically on shyness contain no references at all, which is how I evaluate the quality of a book – I don’t want to just trust the author’s word; I want to know she’s basing her recommendations in research. The third of these books that I got was Jerome Kagan’s book on temperament which, once it starts to talk about environmental influences on temperament, begins to mix in mentions of shyness with what seem to be descriptions of stimulus-avoiding introverts. So my exploration of how to support shy children is unfortunately necessarily linked to the research on shyness and temperament and introversion, because it’s very difficult to separate them out in the research. Psychologists Barbara and Gregory Markway point out that as with many personality traits, including introversion and extroversion, we can think of shyness on a scale. On the left side is someone who is shy but basically secure and successful – she gets through situations like giving a presentation if she has to; she attends parties of her peers she knows well; she might say she’s ‘stressed out’ when she transitions to a new school, but she’s able to adapt and in a month or two she’s basically doing fine. You can see how this connects up to Thomas and Chess’ description of the ‘slow to warm up’ child. Moving over slightly and we see the child who is shy and has some problems because of it; maybe she wishes she could be more outgoing but doesn’t know how. Next over is the specific social anxiety disorder, which produces a paralyzing anxiety in a highly stressful social situation like giving a performance. Then there’s what’s called “mild to moderate generalized social anxiety disorder,” where the child shows physical symptoms of anxiety like headaches, stomachaches, and panic attacks. Finally, all the way on the right of the continuum is “severe generalized social anxiety disorder” which includes children who have selective mutisum, where they refuse to – or physically cannot – speak in certain situations, refuse to go to school, or become depressed. I think my daughter falls at the left end of this continuum; she is definitely slow to warm to new people and didn’t like her new daycare much for the first week or so, but she seems to have settled in OK. She sometimes plays ‘peek-a-boo’ with the other children but just as often she likes to sit on a rock in the playground that she seems to have picked out because it has a commanding view of the whole area, from which she will observe the other children, occasionally running over to see what a small group is doing before returning to her perch. One thing that I left out of the behavior descriptions of shyness for the sake of making it easier to follow was the extent to which the interactions with parents impact where children fall. The parents of the “shy but basically successful” child are described as “accepting her shy temperament and have never made a big deal out of it. They try to encourage her to break out of her comfort zone and try new things, but they’re not overly pushy.” The “shy but showing some problems” child has parents who like to throw parties and “become upset when the child doesn’t come out of her room to talk with their guests.” The child with mild to moderate generalized social anxiety disorder has a family who moves around a lot, making it hard to make friends. Now the last thing I want to do here is to make anyone feel responsible or guilty for any trait in their child that they perceive as negative. I’m certainly not trying to say that if your child has a diagnosable anxiety disorder that you gave it to them, either generically or in the environment that you provided. If your child already falls over on the right side of the scale then now might be a good time to consider finding some professional help to help their child master social anxiety, which is really beyond the scope of this podcast. What I want to spend the rest of the time doing is thinking through, for myself as well as you, the idea that if your child is over on the left end of the social anxiety continuum right now, whether it’s a result of genetics or the kinds of environment you’ve raised them in until now, then there are things you can do to try to make sure they don’t keep moving toward the right of the continuum and maybe even push them back to the left a little more. I don’t want to say that all shyness can or should be cured because some people find it quite adaptive – perhaps a researcher gives a better presentation in front of an audience because she is shy and doesn’t want to fail, so she puts in extra time and effort to prepare. 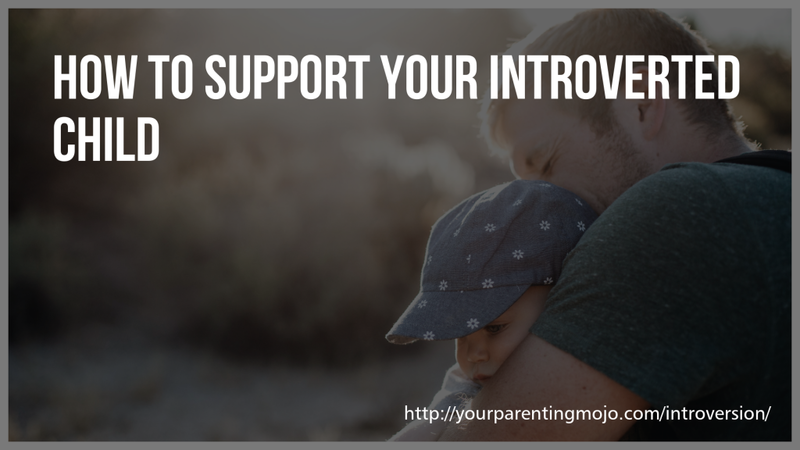 But to the extent that shyness – and even introversion – hamper your child’s ability to live her life, I believe it’s worth doing what we can to support her in managing them. I’ve culled some ideas from a review of quite a number of books and research papers, and I’ll go through the seven overarching ideas that seem worthy of putting into practice. If you’re looking for books, I’ll recommend a couple: Susan Cain’s Quiet is very well-referenced and very readable as well. Marti Olsen Laney’s book The Introvert Advantage has a short chapter on raising introverts although it’s not as well referenced and, like Susan Cain’s, tends to rely on books about shy people when describing how to raise an introvert. But if you’re pretty sure your child is introverted and you’d like to learn more, I’d say both are worth a read. Introverted children may be both more susceptible to quality of care by parents and also by daycares and schools. This was dubbed the “orchid hypothesis” by an article in the Atlantic, drawing on research by Jay Belsky and his colleagues at the University of California, Davis. The idea is that children who were perceived as “difficult” infants are more likely to be positively affected by high quality parenting and childcare, and more likely to be negatively affected by low-quality parenting and childcare. The environment seems to have a larger impact on these children than it does on most others. High quality parenting was determined to be maternal sensitivity to child non-distress, lack of intrusiveness, positive regard, supportive presence, lack of hostility, and respect for autonomy. Supportive childcare was determined by a researcher who observed interactions between the caregiver and the child. So this is not to say that you need any really special skills to be a good parent to an introverted child, but if you can be generally supportive of your child and put him in a childcare situation where he’s able to develop a good relationship with a teacher, then there’s a good chance he will thrive. And if those things don’t happen, there’s a good chance he will do rather less well. As a parent, don’t project your own fears onto your child. Just because I hated lunchtime at school because everyone went off into their cliques and I didn’t have anywhere to go doesn’t mean the same thing will happen to my child. Maybe she kicks a ball around by herself at lunchtime because she wants to and enjoys a bit of time being alone. So talk with your child and make sure you understand what’s going on in her mind before you assume it’s her painful shyness that’s preventing her from socializing. Try not to let your own limitations become limitations for your child. The awful thing about playdates for introverted parents is that you end up having to socialize with the parents of the other child during the playdate. Rather than having a playdate with a different child every week, perhaps you could see if you have anything in common with the children that your son or daughter seems to like to spend time with, so you can potentially get beyond the small talk and actually develop meaningful relationships with the parents. A fellow parent who lives just up the street from me said ‘hi’ to me when we saw each other out and about a couple of times, and then she asked for my email address so we could keep in touch. I tried to be tactfully cool in my responses because I figured we probably didn’t have much in common other than the fact that we both have kids and live on the same street, and I *really* didn’t want to have to be “mommy friends” with someone. She persisted, though, and it turns out we have a *lot* in common – now we have a casual dinner at one or other of our houses every couple of weeks, and we’re totally easy around each other – nobody dresses up, and nobody tidies up, and we all just say what we think. That friendship turned out to be the complete opposite of what I thought it would be, and I’m grateful that I have it. Introverted people tend to take longer to form and express ideas, which can make people think they’re not smart. One set of researchers asked students to assess their own ability to respond to new ideas quickly and say what’s on their minds, and then rate how intelligent, engaged, and competent their classmates were. The students rated the people who could respond quickly as more intelligent, engaged, and competent early in the semester. But later in the semester the ratings partially reversed, firstly because the intelligent introverts became more comfortable and started to speak up in class, and secondly because the unintelligent extroverts were discovered to have “exuberance that exceeds their insightfulness.” So where introverts have a one-shot chance to make an impact, like a job interview (maybe a few years down the road), it’s worth trying to put up a front and at least appear to be extroverted. But in the long haul, don’t worry so much – if you’re smart, people will eventually realize it whether you speak up a lot or not. Introverts may find their communities in different places than extroverts. One study found that introverted people feel they can be the “real me” by meeting people online or in other remote ways (kind of like I do through this podcast), whereas extroverts locate their “real me” through traditional social interaction. If your child is old enough to be online and finds or creates his own community then don’t worry as much if he doesn’t have a big group of real life friends as well. Provide opportunities for your child to socialize in traditional settings, and set things up for them to be successful, but don’t push it too hard. So if your child is invited to a birthday party then maybe you can go at the beginning before too many other people get there, which can be much less overwhelming than entering a room that’s packed with people. The general principle of trying to overcome fears in this way calls for the exposure to the social situation to be gradual, repeated, and prolonged. So try a small birthday party before a wedding with 100 attendees. And even if the party isn’t successful from your perspective and your child still shows shy behaviors, keep trying. Don’t throw in the towel. Prolonged exposure means you have to do the activity until your child’s anxiety level drops which it will; it’s the way our body chemistry works. So if you walk into a party and your child is terrified because you got there late and lots of people are already there, stick it out until her anxiety level drops. She might need to bury her head in your shoulder for a little while, but the idea is that eventually her anxiety level will drop, and she’ll realize that the situation can be handled. Then in the future the anxiety shouldn’t be as bad and it should come down faster. Finally, don’t forget that there is nothing inherently wrong with being introverted or even shy; it’s only troubling to the extent that it prevents you from doing the things you want to do within your cultural context. Introverts struggle in America because we’re essentially the most extroverted culture in the world. I found a fascinating diagram in a research paper where countries fall on a scale of introversion and extroversion. There is no more extroverted nation than the United States, even though there are quite a lot of introverts here too. But plop an American extrovert down in Uganda or Indonesia then he might struggle in these most introverted of countries. I guess if I decide I really want to fit in somewhere I could move to Uganda. I always did prefer mountains to beaches. Thanks for listening – you can find all the references to today’s episode on YourParentingMojo.com, under Supporting your introverted or shy child, and as we talked about earlier, please don’t forget to subscribe to the show and leave me a rating and review, send it out to your friends who you think might find it useful, and drop me a line with any special episode requests.